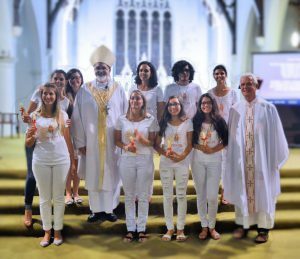 A growing number of Brazilians have been gathering to celebrate Mass in Portuguese language on the first Sunday of every month at St Patrick’s Church in Fortitude Valley. 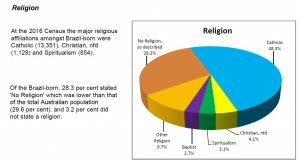 Other Portuguese-language speakers such as those from Mozambique, Angola, Timor and Portugal have also started joining in. Fr Paul Mahony SM from Sydney celebrates the monthly Mass in Portuguese language. Further queries, please contact CMPC on 3324 3451. It all started in 2006. I was Hospital and Prison Chaplain in Brisbane when I received a call from Biloela asking me if I could celebrate Mass there. The Rockhampton Brazilian Community (120km from Biloela) was also mentioned in this conversation. I don’t remember the exact date but I started visiting these two communities after that conversation including another one in Beenleigh (south of Brisbane). They all worked at Thys Brothers Meat Works. I went there every two months. On the 17th of November 2006, during the first weeding at St Mary’s (north of Rockhampton), a manager from Beenleigh (an Australian married to a Brazilian) approached and made arrangmeents with the Directors of Thys Brothers to cover the costs of my expenses (flights and car rentals) which enabled me to continue celebrating Masses for these three Brazilian Communities in Biloela, Rockhampton and Beenleigh in 2007. In 2008 and 2009, I was transferred to Walgett in northern New South Wales (700km from Brisbane) but continued celebrating Mass for these communities every two months. In 2010, I was transferred to Gladstone. 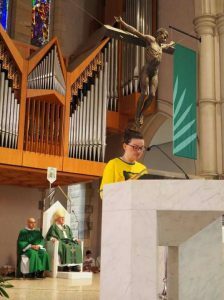 I gradually reduced my work in Biloela and eventually finished my ministry there but I continued to celebrate Mass every month in Rockhampton and Brisbane. 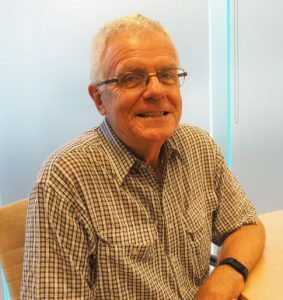 I spoke to Fr Ken Howell, the administrator of the Cathedral of St Stephen (now Bishop) about the community’s situation and he offered us to hold our Masses at St Mary’s, South Brisbane. This church did not fit our needs at the time as we needed a place to hold our get together after Mass. 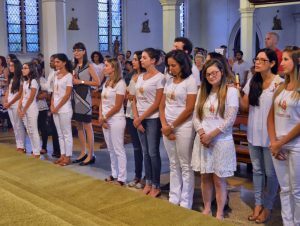 In addition, this parish had a Mass right before the Brazilian Mass which made preparations difficult. The new Cathedral administrator, Fr David Pascoe, offered us St. Patrick’s Church in Fortitude Valley. This is where our community started to grow. 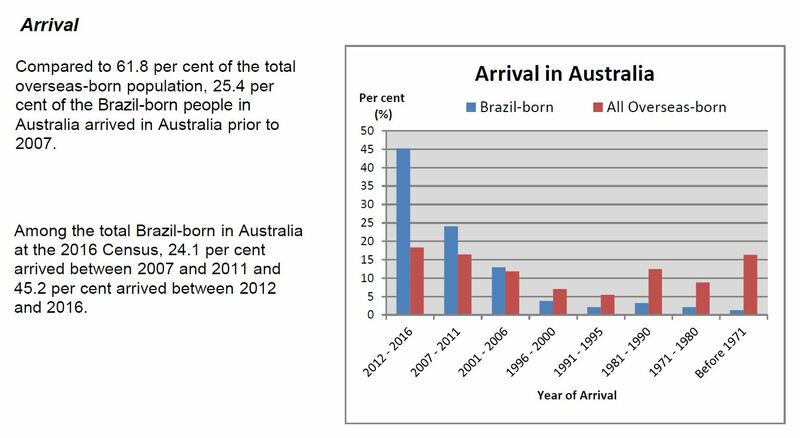 I continue my work with these communities for four years until 2014 when I was transferred once more, to Sydney. So then, I continued going to Rockhampton and Brisbane every month (except January). In 2016, I reduced my Rockhampton visits to every two months and eventually finished my ministry there in December 2018. 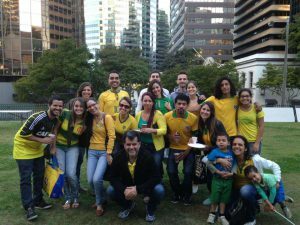 In 2015, a Brazilian couple saw an opportunity to formally establish the Brazilian Catholic Community in Brisbane. They started to promote activities widely (eg. 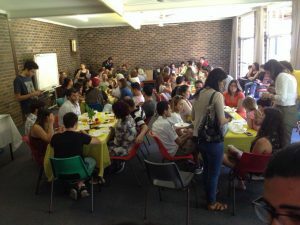 Mass and Prayer Group) and, over time, the Community engaged in more activities that addressed the needs of Brazilian immigrants in Brisbane. 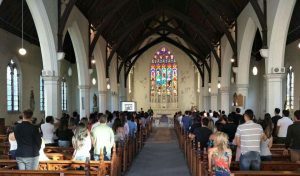 All events are held at St Patrick’s Church in Fortitude Valley (58 Morgan Street, Fortitude Valley 4006). Mass (attended by approximately 100 – 200 people) – every first Sunday of the Month (incl baptism, wedding, first communion or chrism). Prayer Group – every second Saturday of the month. 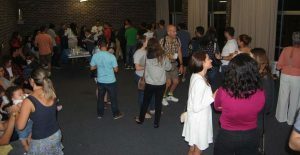 The gathering consists of prayer, reflection and exchange of thoughts on chosen themes (biblical passage, examples of saints, or a personal testimony). Confirmation/Chrism – on the fourth Saturday of the month followed by either the Women’s Group/Men’s Rosary Prayer Group or with Catholic Deepening Group/Family Rosary Prayer Group. Catholic Deepening Group and Family Rosary Prayer Group – on the fourth Saturday of the month, alternating. The Catholic Deepening Group is where members learn about the Catholic Church, its dogmas and theology. 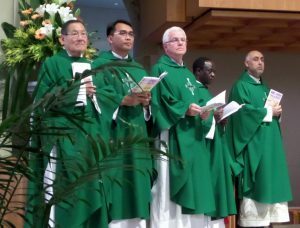 MULTICULTURAL MASS – the Brazilian Community has been actively involved and participated since 2015 in the celebration of the annual archdiocesan Multicultural Mass at the Cathedral of St Stephen. 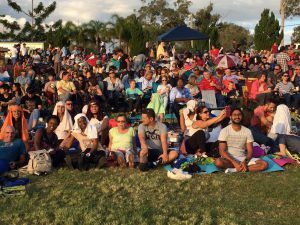 Attended the Moogerah Passion Play at Lake Moogerah – on Good Friday, 14 April 2017 and Saturday, 31 March 2018. 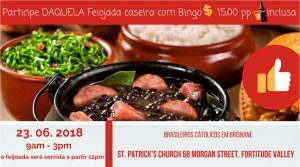 Event 2015 – Feijoada – a day where a typical food from Brazil (feijoada) is on sale. 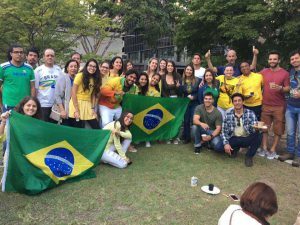 Event 2017 – Festa Junina/Festa Junina is the term used to describe the traditional festivities that happen at the beginning of the Brazilian winter in June/July.